North, East, South, West – Which Paint Colour is the Best? You are here: Home / The Best Paint Colours / Neutral, Gray, Greige, Cream and White / North, East, South, West – Which Paint Colour is the Best? Unless your room has no windows OR you’re a vampire, you’ve probably had to deal with natural light and exposure when choosing paint colours. And maybe you didn’t even KNOW that it was exposure that was messin’ with yo’ mind as your gray went purple and your beige went green, but let me tell you, exposure is a force to be reckoned with! (I ‘reckon‘ most things with wine, it helps). So, while I’ve written blog posts individually for north, south, east and west facing rooms, as well as rooms with 2 exposures, this post is to give you a simple, meat n’ potatoes summary. If you want to dig a lil’ deeper, I’ve included some great links for you to my other articles which will go more in-depth. 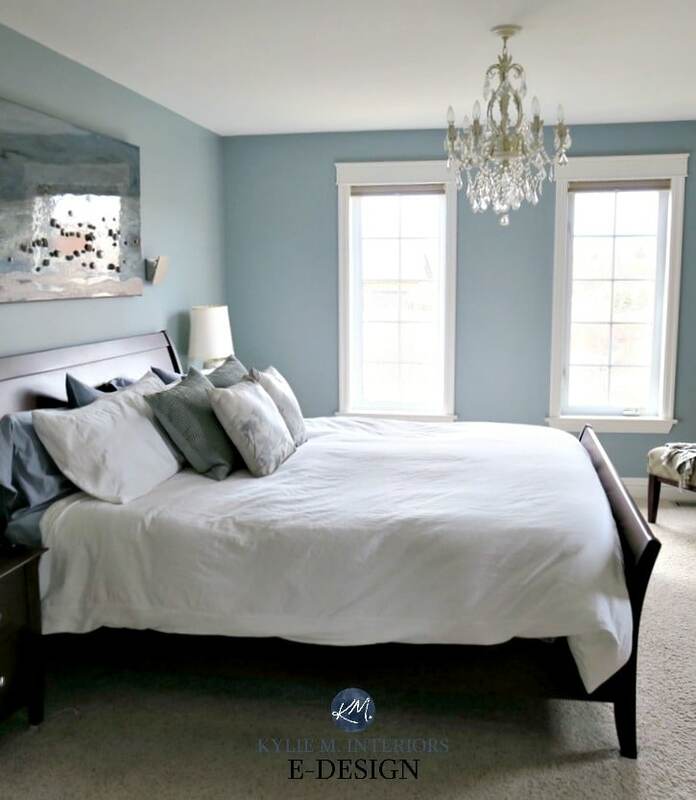 North facing rooms have a gray light coming in that has a subtle hint of blue in it – this means that it’s a cool light. East facing rooms have a soft, bright light in the morning – maybe fractionally warm and certainly not COLD. South facing rooms have a warm, yellow-toned light coming in. This light gets warmer/hotter closer to the evening. 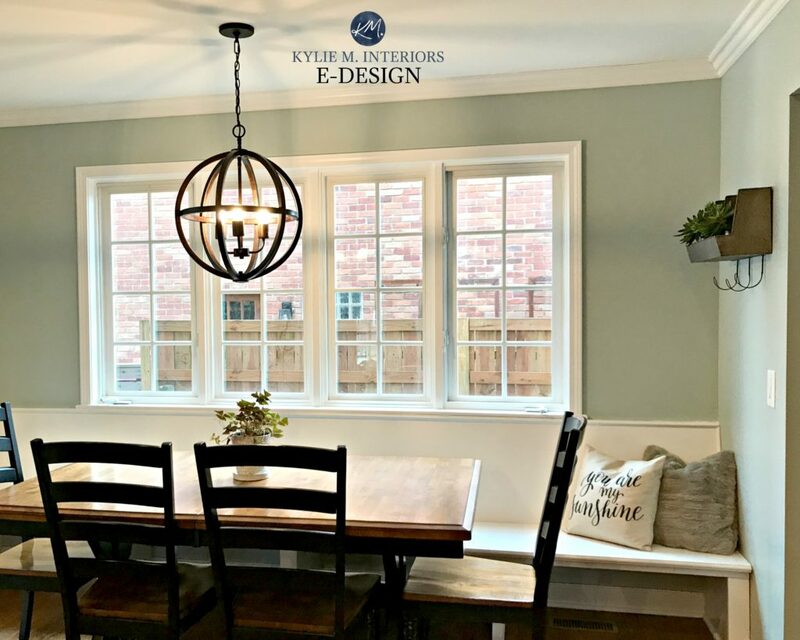 West facing rooms tend to be a bit flat and gray in the morning hours, but once noon hits, things start to lighten and brighten and you may hear the faint sound of Kylie poppin’ a wine cork (hey, it’s 5 o’clock SOMEwhere). If you have a room with 2 or 3 exposures, it’s actually not a bad thing! When you have only 1 exposure, you are 100% reliant on that particular light throughout the day, whereas multiple exposures can offer some balance to the more extreme ends (ie: extreme north/south). If you have north/south, this is the best mix as you can look at both north and south facing colour options to see which ones best suit your tastes and the interior of your home! Check out my affordable AND fun E-design and Online Paint Color Consulting! I love your informative posts, thank you! I am stuck for a paint color selection for my entry, family room, and hallway. 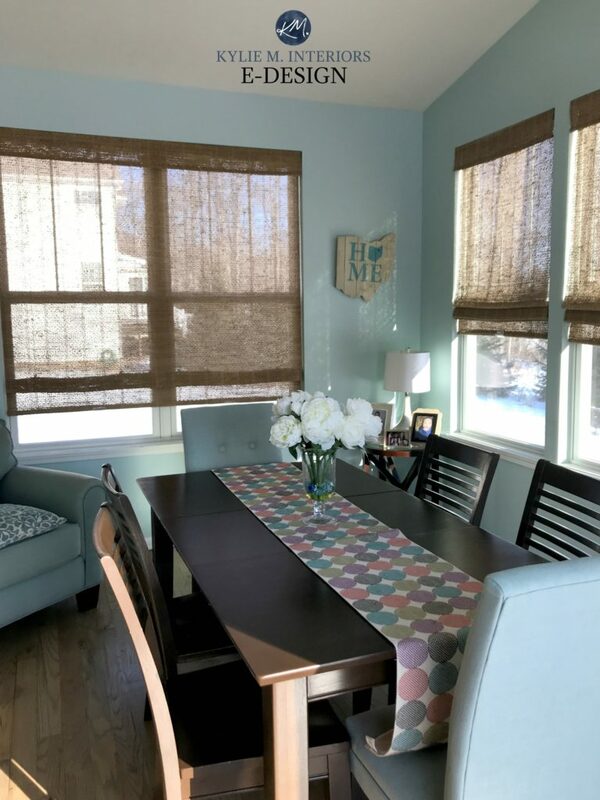 I have multi-colored swaths in each room and each time I think I’ve made a decision – BAM! it changes. First I settled on Revere Pewter but it looks so flat and not at all like the photos of the lovely light rooms wearing it. Then I went with Sea Salt. My family room has a large window and door that face East/Northeast so I get some direct bright light in the morning. Seat Salt almost looks “minty” or even baby blue in this light (not what I hoped for). However, as the light moves on to the front of the house to my south windows it looks darn right gray with a hint of green. I have poured over plenty of “what color to paint” articles and blogs, and I just paid a professional $300 to help. Basically all things should be “neutral” for a buyer, but I am an artist who favors, rich color (as evidenced by my turquoise and white kitchen). I welcome any suggestions for this difficult situation!! Hi Ellen! 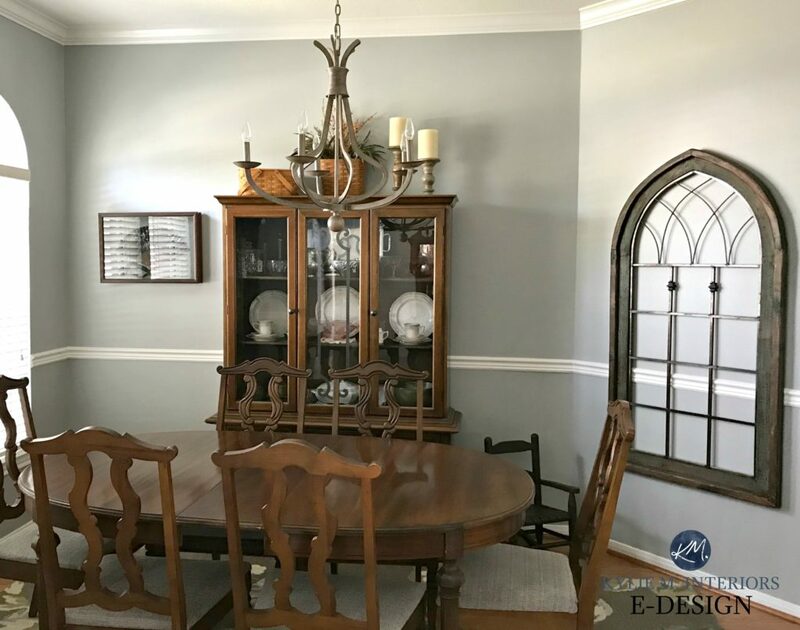 It’s hard to say without seeing your home, finishes, lighting, etc… but check out BM Edgecomb Gray which is a light greige, I’ve had a lot of success with it! Kylie, when a room face a point in between two points on the compass ( for example north east or southwest), how does this effect paint choices? Hi! I just bought a new house and it has skylights in both the living area and the dining/kitchen area. It’s really messing with my color sense! The walls are currently a greige that looks lovely in some light but ugly and flat in others but I can’t quite find the pattern. How do skylights affect colors? Hi Liz! I’ve found that skylights will pick up a bit on their main exposure (like if they are slightly sloped south/east/north/west), but generally act a bit like an eastern light, particularly at the height of day where they can EASILY wash out a colour as they get the midday sun that is the most lightening! Hi Kylie, love your website and posts! Is it a faux pas to simply use a lightened version of the same color for darker rooms in the house (i.e., hallway)? Or should I be looking for a lighter, but different/complimentary color for those darker rooms? Thanks! Hi Kylie! I love your blog. I painted my north facing living room and hallway SW Creamy which I love thanks to your advice! I have a south facing den with an accent wall I painted BM Tyler Gray. I tried painting the walls that flank the accent wall SWCreamy also but because they are south facing it looks much too yellow when compared to the Tyler Gray. Do you have any suggestions for a white or warmer white color that could go with BM Tyler Gray without going too yellow in a south facing room? I’m late to this party, but wanted to say thank you for this awesome website! I recently used your advice to pick colors for the walls of our condo that was going up for sale. I used SW Vanillin for the living and bedrooms which are mostly east/somewhat north facing and SW French Grey for the kitchen and bath, which have no natural light (and the kitchen has awful fluorescents). (If only we had looked at a blog for how to hire painters…that went less successfully!) Thanks!